True heroes are rare! I have no doubt this youngster has the right attitude! I broke out in open laughter in response to such confidence coming from one so small. The more I thought of it, however, I realized I should possess this same buoyant enthusiasm. God planted inside each of us a desire to overcome, triumph, defend justice, and fight for what is right. Children don’t hide it socially like adults do, but we all have this godly desire. 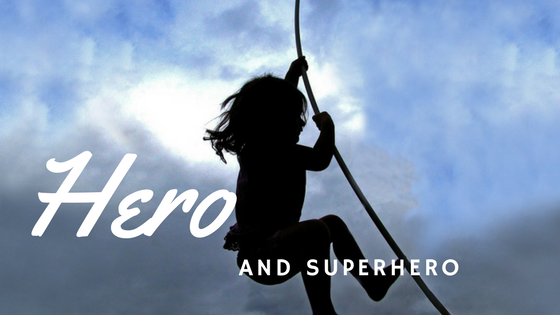 Ask any child to name their favorite superhero and you might be there for awhile! The “first” superheroes emerged in the 1930’s. The list of imaginary “supers” is long! Ask an adult the same question. Their ballots may include people of excellence in sports, arts & entertainment, social justice or a multitude of other fields. Heroes face their impossibilities not with drooped heads but rather with hearts of courage and eyes fixed upward. 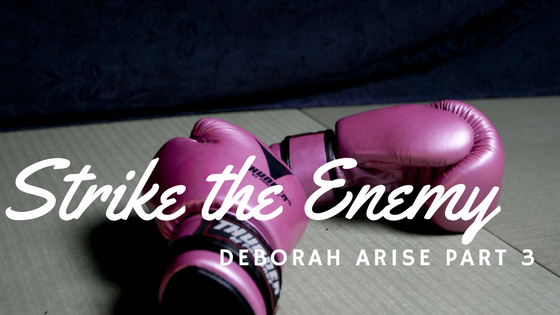 “I’m the one!” kind of people don’t back down from a fight; they press in to overcome! Heroes face grave opposition and come through! In knowing their strengths and their weaknesses, they are prepared to accentuate those strengths and place extra protection over their weakest area. Like true heroes they put on their God given armour and fought the fight of faith, triumphantly bringing good over the evil in their day. Some of the last words of Jesus resonates as a call to heroism. Clearly “superhero” stuff, right? Yet, Jesus said, these superhero qualities are for all “who believe”! Now that is a bold kind of faith! Oh, but it is a faith that those who believe are running with! Everyday people are set free from demonic strongholds, bodies are healed, minds restored, and some are even raised from the dead. Faith is being activated in people globally to walk as God’s heroes, trusting His word, and radically taking risks. Faith is often spelled r-i-s-k! It may feel risky to pray for the sick to be healed, until they are. It may also feel risky to step into the fray and cast out demons, until they do. We will never see the dead raised to life, until we ask. cleanse those who have leprosy, drive out demons. I am convinced we have received far more through faith in Jesus Christ than we are presently accessing or releasing. There is one more hero you, of course, have never heard about. Her name is “SuperGram”. Apparently one of her greatest powers is “master-mind”. The reason you have never heard of her, is because she was just so “bestowed” only yesterday! I chucked and I’m sure you are too! Yet at the same time, I feel Jesus nudge my heart just a little, “you are far more super hero than you realize”! Why? Because God is greater! The One who resides in us is greater than all else! As God’s children, we may be small, but we are overcomers! Embrace God’s truth; be a hero! Apparently one way to age a lion is by scarring on its face. Scars show the fearless characteristic of a lion. The bible calls the righteous “as bold as a lion”. The scars of those who survive and thrive are evidence enough of their bold faith and tenacious perseverance! Do you notice the difference between the “wicked” and the “righteous”? One runs from harmless shadows, the other faces real and impending threat squarely. We have to admit, there isn’t much a lion will back down from. To be lionhearted describes someone who is unflinchingly brave and courageous in the face of danger. In the months ahead, I will be sharing stories of personal heroism demonstrated in the lives of some incredible people I know and appreciate. 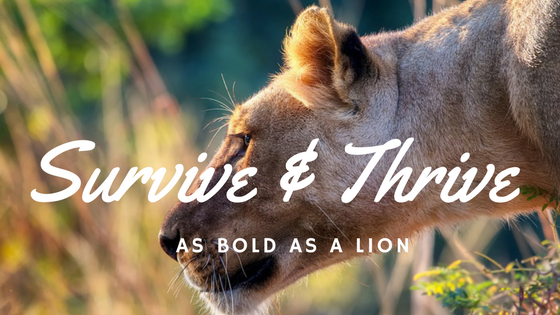 Though none would consider themselves either brave or “bold as a lion”, their journey reveals a different story. Each one has faced dangers of various kinds. They have the scars to prove it! Those who thrive hold wisdom like gold dust loosely in their hands. They willingly and with liberality reach into their experiences and share the treasures they have found in Christ, allowing the winds of the Spirit to inspire others. Their stories igniting faith, hope and courage in the rest of us. As we examine their lives, we will clearly see the difference between surviving and thriving is rooted in their faith and the unshakable love of Christ. God’s love is unconditional! God loves, because He is love! Courage and bravery are not necessary to somehow merit His love. He loves us as we are. He loves us completely, even in our weakness and frailty. God will never love us more; He has no capacity to love us less. It is in the basis of this relationship of love that survivors thrive. What makes someone brave? What compels one person to face life’s toughness squarely while another turns and runs? the sheep from its mouth. Acts of bravery aren’t always physically! 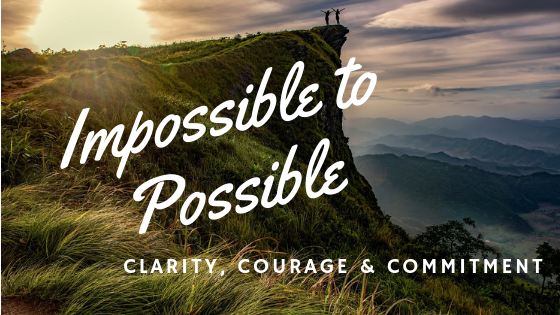 instill hope and impart vision. My husband still teases me about my “farmer’s call”. Being the mother of five active sons who enjoyed roaming the acres beyond our farm yard, this “momma” learned to call her young in for supper or bedtime with a distinct “Yoohoo” that could be heard far and wide. It is a non-comparison to a lions roar, however! I have read that the spine-tingling roar of a lion is as loud as a turbo fan of an aircraft on takeoff, reaching 114 decibels. It is one of the loudest voices in the animal kingdom heard up to 8 kilometers away. Lions roar to tell other lions their location, to show how big they are and to warn lions from other prides to keep away from their home territory. As these people share their stories, it may sound more like a whisper than a roar. Truthfully though, God has given them voices that echo through generations, powerfully declaring the faithfulness of Him who is greater, Jesus Christ! I have chosen people who have discovered the power of waiting! Waiting is the womb of courageous strength! In the natural, the most intense development and formation occurs within the concealed and protected womb. For these, waiting and trusting in the Lord has formed the foundation of their courage and strength. Those who have studied lions say it is a boring of occupation. Lions sleep for over 20 hours every day! That is a lot of rest! In resting, a lion is able to conserve strength for when it is most needed. It is also a position of watching; the place where wisdom is gained. I am excited to use this blogging platform to share their stories. It is my hope that we will all draw from their wisdom, be inspired by their strength, motivated to action, and invited into deeper faith.